It's been a while since I've posted Friday Faves, but I couldn't resist posting a couple today. 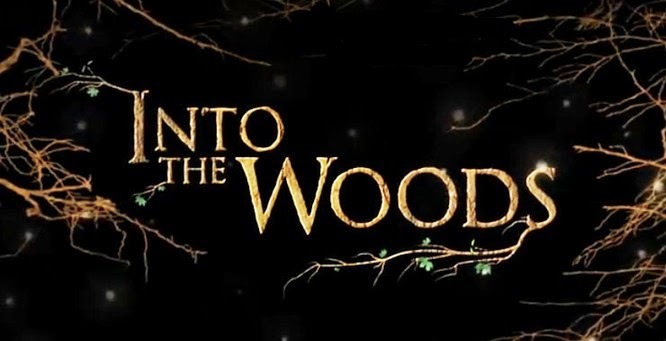 First, there is this trailer for Into the Woods. I saw it for the first time today and have already watched a couple of times. I can't wait for this movie! It's one of my favorite musicals and my favorite Sondheim score. I love fairytale retellings. I think Rob Marshall is a perfect choice of directors, and the cast includes Meryl Streep as the Witch and Johnny Depp as the Wolf. Can't wait! My other Friday Fave is National Novel Writing Month (NaNoWriMo). I've heard of this annual challenge for years, but finally decided to jump in. I'm not sure if I will complete the first draft of a novel by the end of November, but I am writing daily and really enjoying it. I was a Creative Writing major, but it's been a while since I've written fiction. I tend to be short-winded, so the word count is the most challenging aspect for me. That said, it's fun to dive in and see where the experience leads. I would love to hear from you in the comment section below. Are you planning to see Into the Woods? Are you taking the NaNoWriMo challenge? Hope you'll take a moment and say "hi." You introduced me to Into the Woods, Trish. It looks brilliant -- a magical movie for Christmas time. It stars Johnny Depp, could we ask for anything more? (Sorry, Depp fan here.) Although it is definitely an all-star line-up! Emily Blunt and Chris Pine are favorites, too. I'm going to leave the novel writing to YOU, Trish. I sure would love to read your finished product. Thanks, Brenda and Mary! I am really looking forward to Into the Woods, too. We'll have to compare notes after we all see it.